'Men may leave, but books will always remain true." I've been wanting to read Martha Hall Kelly ever since The Lilac Girls was released and the reading community went crazy over it. 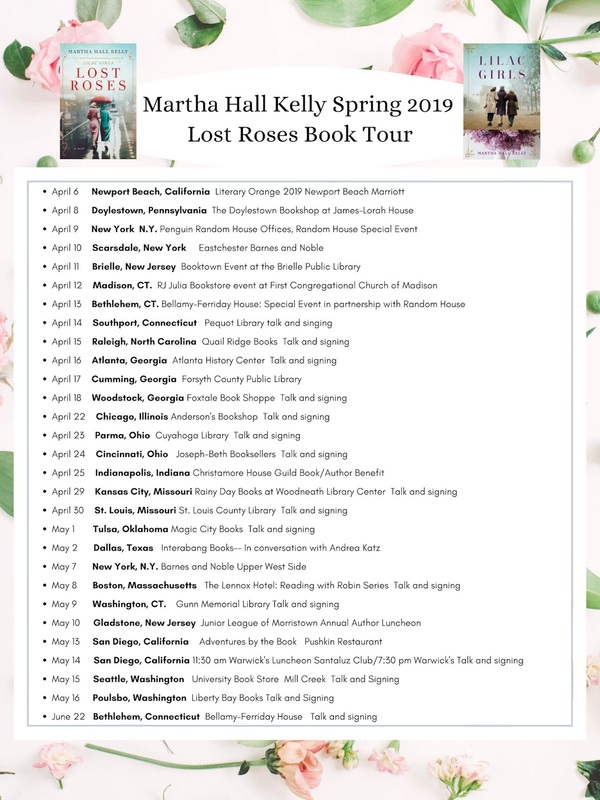 So when I received the email from Suzy asking to host this blog tour, I did a little happy dance and immediately signed on! I am so glad that I did! 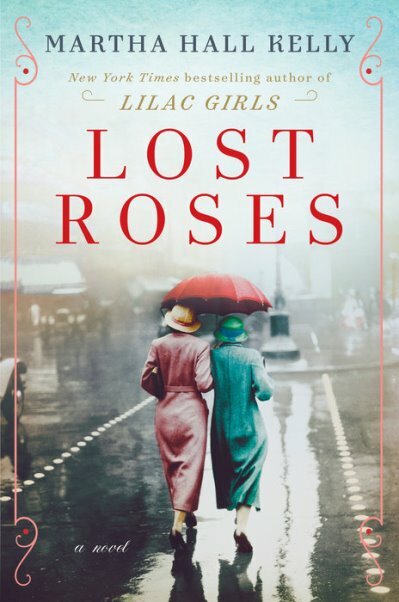 Lost Roses is based on the true story of Eliza Ferriday, the mother of Caroline Ferriday who is featured in The Lilac Girls. In Lost Roses, we follow three women - Eliza, her close friend and cousin to the Russian tsar Nicolas II, Sofya, and Varinka, who works for Sofya and takes care of her son. With Sofya's story we are witness to the danger that the aristocracy is in from the the Bolshevik Revolution. Protests and violence are rampant, and the family are trying to plan an escape out of Russia. Eliza is from a prosperous family and lives on Long Island. She becomes passionate about the "White Russian" women -- Russian aristocrats who were driven out by the Bolsheviks and are now in America, with no money or resources. Varinka, a young, poor Russian woman who lives with her mother who is a fortune teller. She is hired by Sofya's family and is charged with taking care of her young son. The author notes that she traveled from Russia to Southampton in New York, and Paris to research for the book and it's apparent to the reader that a lot of work went into writing this novel, yet it's not heavy handed with history. I loved that as readers we get to see the events take place through three different points of view. I feel like it gave a well-rounded view of what happened. With impeccable writing, fascinating and strong women, and enough danger and action to keep me turning the pages, I absolutely loved Lost Roses! 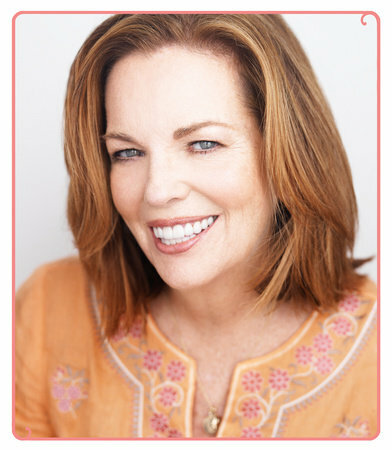 Martha is a native New Englander who lives in Connecticut and Martha's Vineyard. She worked as an advertising copywriter for many years, raised three wonderful children who are now mostly out of the nest and Lilac Girls is her first novel. She has been hard at work on the prequel to Lilac Girls, Lost Roses, which features Caroline's mother Eliza Ferriday and her fight to save a group of Russian women, former aristocrats who lost everything in the Russian Revolution. Martha Hall Kelly will be touring for Lost Roses. Check out the schedule below to see if she's coming to a bookstore near you!